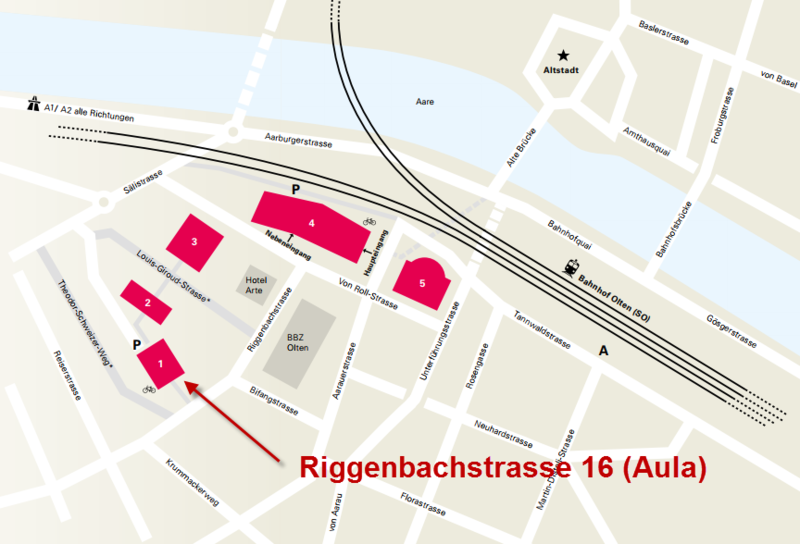 Arrival: The meeting is reachable on foot from the Olten railway station. We recommend using public transportation. Catering: Coffee breaks in the morning and afternoon, as well as a small lunch will be be provided. Registration: Registration form on Google Forms - thank you for your registration! Please bring along your own laptop with pre-installed QGIS. Workshop B: Requires QGIS 3.x and one Android Tablet or Smartphone with a larger screen, as well as connection cables between your Laptop and your Android Device, or alternatively a wireless transfer mode between your devices.